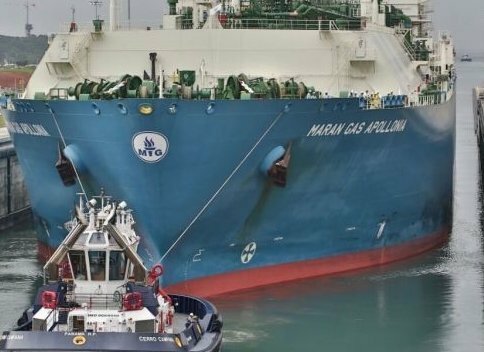 The Panama Canal Authority (ACP), the government body responsible for operating and managing the inter-oceanic waterway, announced it has imposed unspecified sanctions on some tugboat captains for refusing to transit some ships through the new neopanamax locks. ACP maintains that the captains’ action impacted regular maritime traffic and hurt the national economy. But the Union of Tugboat Captains and Deck Officers of the Panama Canal (UCOC) claimed their members were motivated by safety concerns, in particular that shortages of equipment and personnel caused by cost-cutting made some operations unsafe on the expanded Canal. The canal opened a third set of expanded locks in June 2016 to allow the transit of much larger vessels than previously possible. Expansion, a multibillion dollar infrastructure investment, has been a big success with already more than 3,000 ships using the new locks, more than forecast. On top of safety issues, the UCOC is also worried that the current sanctions by ACP could be a tactic in a campaign to privatize tug operations at the canal.